Released in 2016, Jaguar’s British Design Edition of the enormously popular F-Type is marketed as ‘the quintessential modern British sports car, more British than ever’. Promising more drama, excitement and Britishness than centre court at Wimbledon (with a helping of strawberries and cream), one might expect the F-type British Edition to fall short of the hype generated on its behalf – but there, you’d be disappointed! 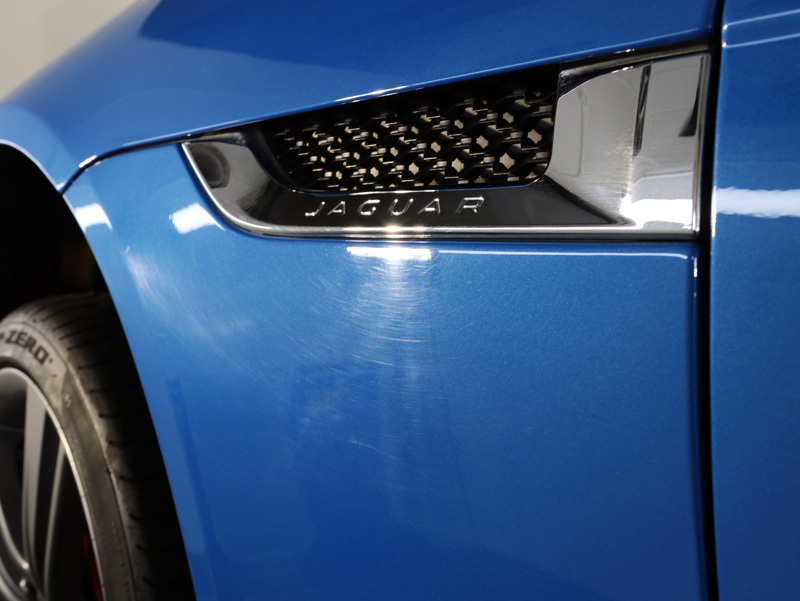 The F-Type design achieved global recognition when it won World Car Design of the Year in 2013. 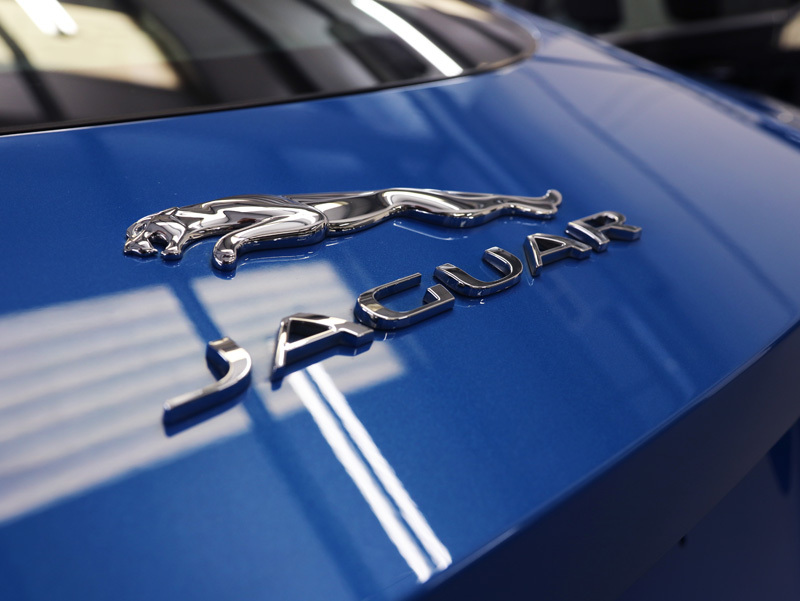 Since then, Jaguar has gone from strength to strength and is now Europe’s fastest growing car brand. The F-Type design concept is so popular, traits have been incorporated into Jaguar’s performance SUV, the F-Pace, which scooped both World Car of the Year and World Car Design of the Year 2017. Safe to say, the F-Type influence is here to stay. The F-Type British Design Edition is based on the F-type ‘S’ model and available for both the coupe and convertible body styles. Instantly differentiated from the ‘S’ by a gloss black front splitter, aggressively-styled body-coloured side extensions and rear venturi, the coupe also offers up a fixed spoiler. 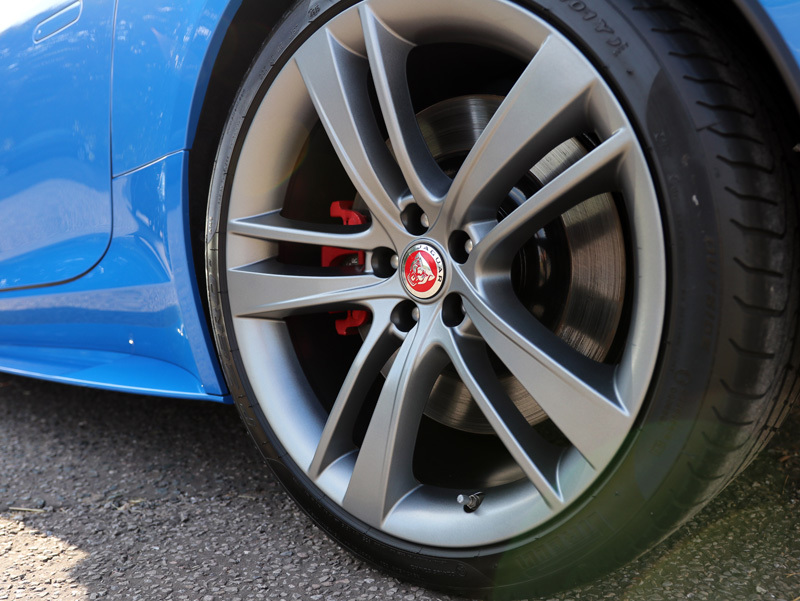 The wheels receive an upgrade to 20-inch rims in dark satin ‘Cyclone’ grey, bejewelled with red brake calipers. Powered by a supercharged 3.0-litre V6, owners can choose from a six-speed manual or eight-speed Quickshift transmission with rear or all-wheel drive and an uprated braking system. 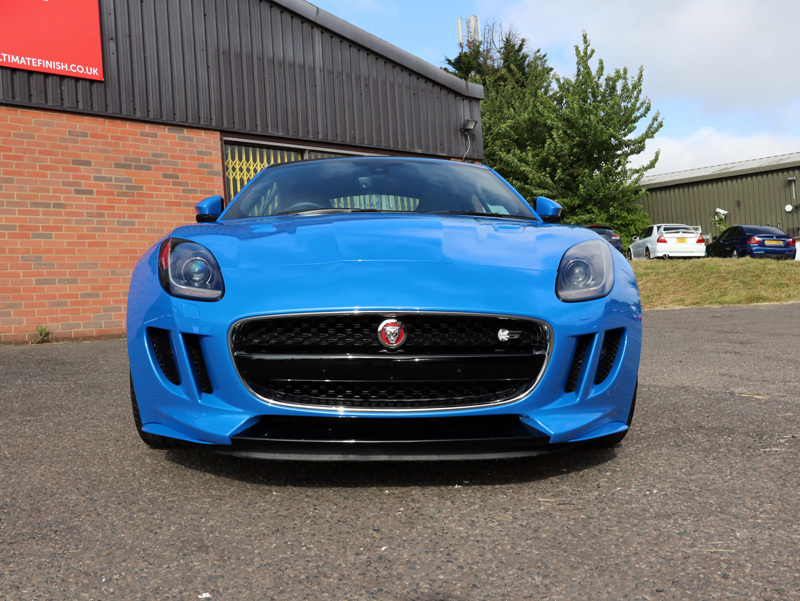 With a switchable sports exhaust as standard, the F-Type British Design Edition produces a healthy 375bhp with 338lb-ft of torque and will launch from 0-62mph in 4.9 seconds, achieving a top speed of 171 miles per hour. 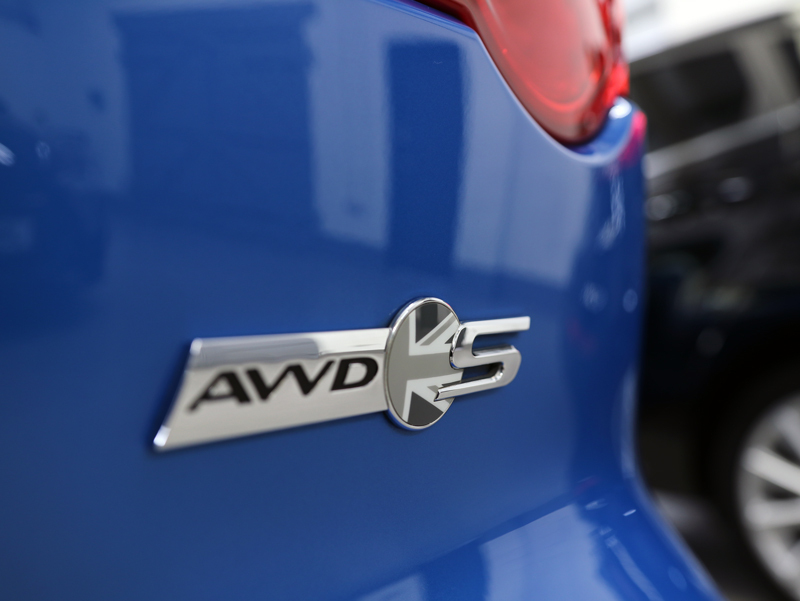 Underlining the very Britishness of the car are the monochrome Union flag badges and detailing found on the front grille and boot, as well as on the interior. And what a sumptuous interior it is! While the exterior is available in Caldera Red, Glacier White, Ultra Blue or Ultimate Black, the premium Jet leather upholstery features contrast stitching to match the paintwork, in red, ivory and Reims blue. Carbon fibre replaces aluminium trim and branding on the centre console, sports seats and scuff plates are an understated yet visible reminder this car is anything but standard. 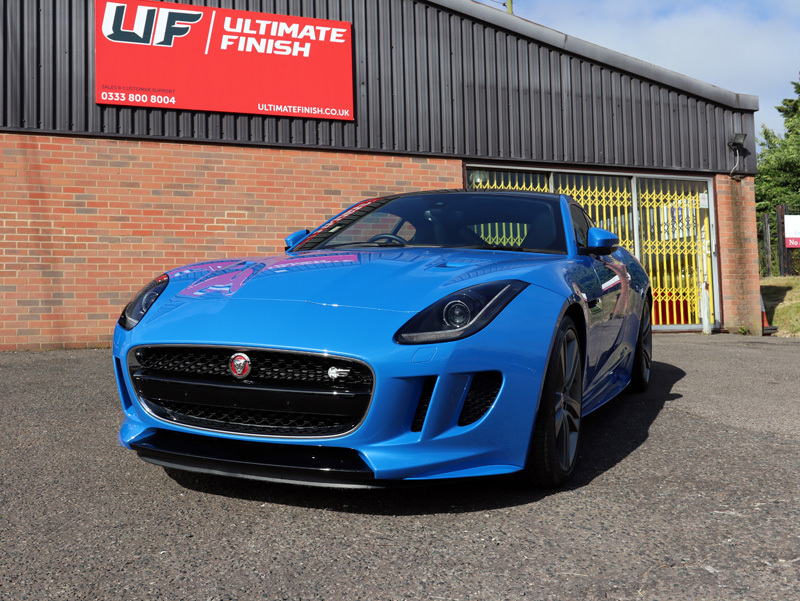 Wanting to ensure the Ultra Blue paintwork on his F-Type British Design Edition truly reflected the rich accolades bestowed upon it, the owner delivered his car to UF’s Brands Hatch Studio for a Gloss Enhancement Treatment. In addition, the Cyclone grey rims were to be thoroughly decontaminated, cleaned and protected from the elements. 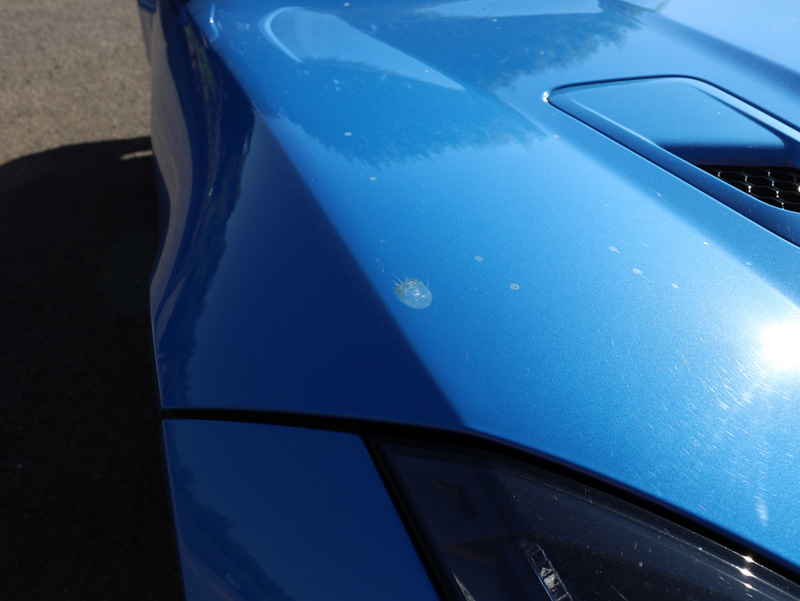 On arrival, an initial visual inspection revealed swirls and scratches in the paintwork. The expected road grime, pollen, and general fallout were also in evidence and, potentially more worryingly, bird droppings. The wheels were dirty too, with grime having collected in the corners of the rims, along the spokes and across the brake discs. 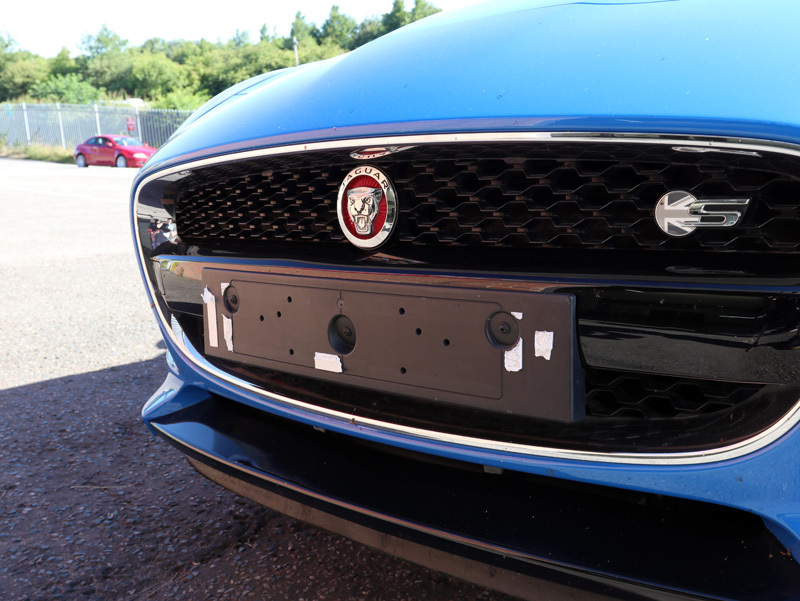 As registration plates trap dirt and water, these were removed to allow for more thorough cleaning and avoiding dirty streaks of water from emerging later during the detailing process. A trolley jack was used to raise each corner of the car, in turn, to allow the wheel arches to be comprehensively degreased and cleaned. The wheels were then sprayed with Gtechniq W5 Citrus All Purpose Cleaner to eliminate oily diesel deposits. 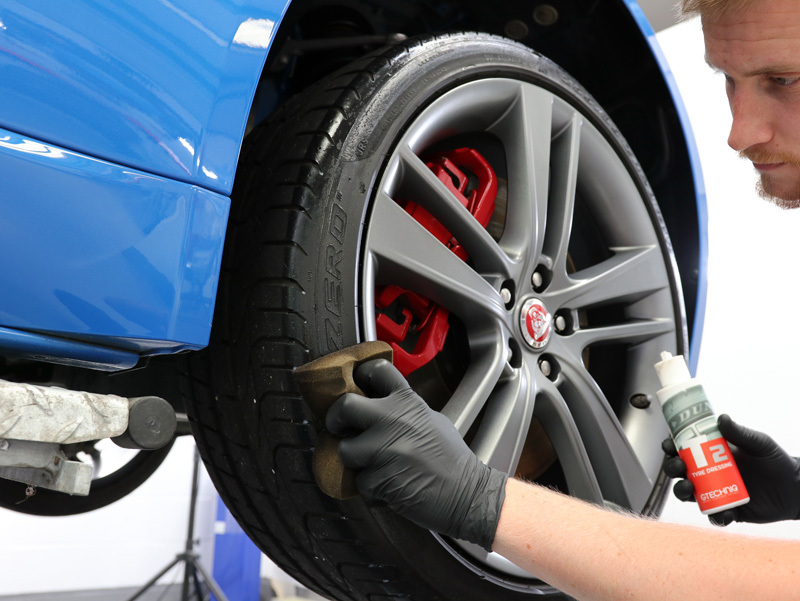 After a rinse, Valet Pro Bilberry Wheel Cleaner was applied to the wheels and the solution agitated with Wheel Woolies, long-handled brushes that reach through the alloy wheel spokes to clean both the front and the rear of the rim. Again, the wheels were rinsed with a pressure washer to ensure all traces of contamination and solution were completely removed. 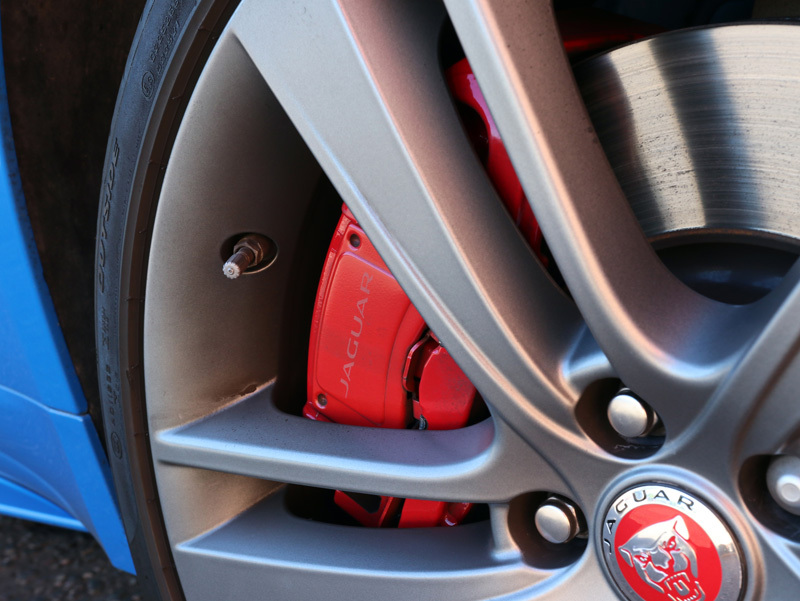 The wheels were treated for iron contamination, derived from brake pads which shred when the brakes are applied. Hot, tiny particles become aerosolised and bond quickly to the first surface they encounter. Rubbing with a wash mitt is an ineffectual method for removing these particles. Instead, Gtechniq W6 Iron & General Fallout Remover was applied. After being allowed to dwell, W6 and the iron contamination can be rinsed away easily. Once this stage was complete, the bodywork was also degreased and treated for iron contamination before being pre-cleaned with Ultimate Snow Foam. 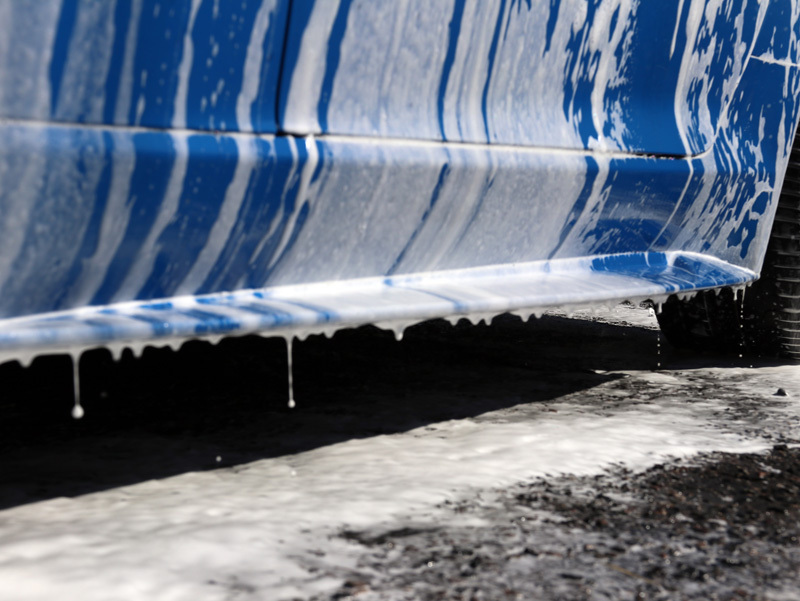 The lather lifts larger particles of dirt and grit away from the surface of the panels and can be rinsed easily away, making the main wash easier and safer for the paintwork. The main wash was undertaken using the Two Bucket Method to keep wash and rinse water separately, reducing the chances of reintroducing contamination to the paintwork. After rinsing the suds away, an Aqua Gleam De-ionising Water Filter was used to deliver a final, pure water rinse. 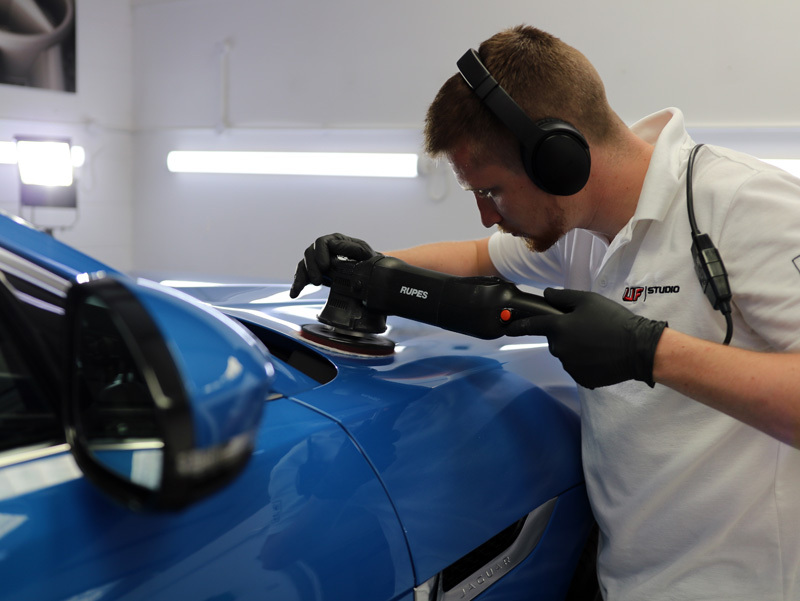 The F-Type was brought into the detailing studio and dried using a BigBoi BlowR Pro touchless car dryer. This unit uses high-powered warm, filtered air to chase water off panels and out from mirror housings, grilles, headlight housings and other tricky areas. 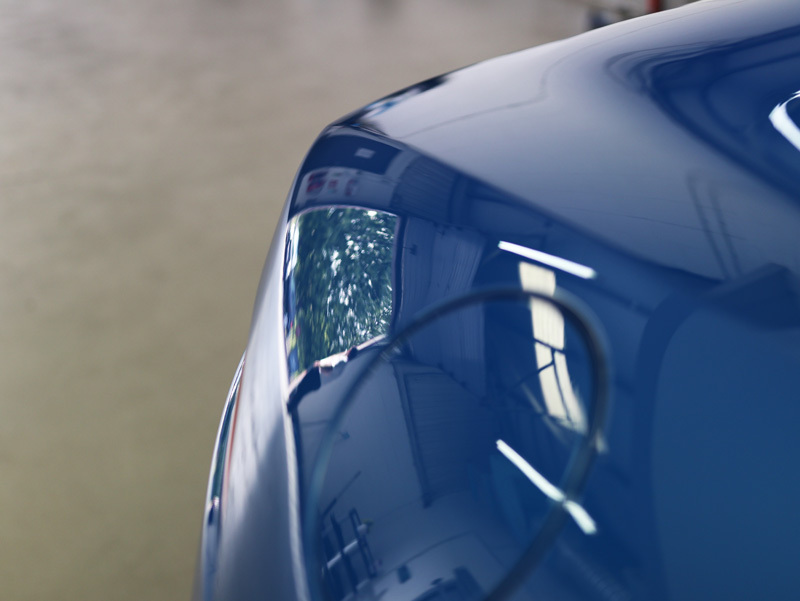 The paintwork was inspected under SCANGRIP detailing lights to reveal areas of damage which were added to the notations on the Vehicle Appraisal Sheet. 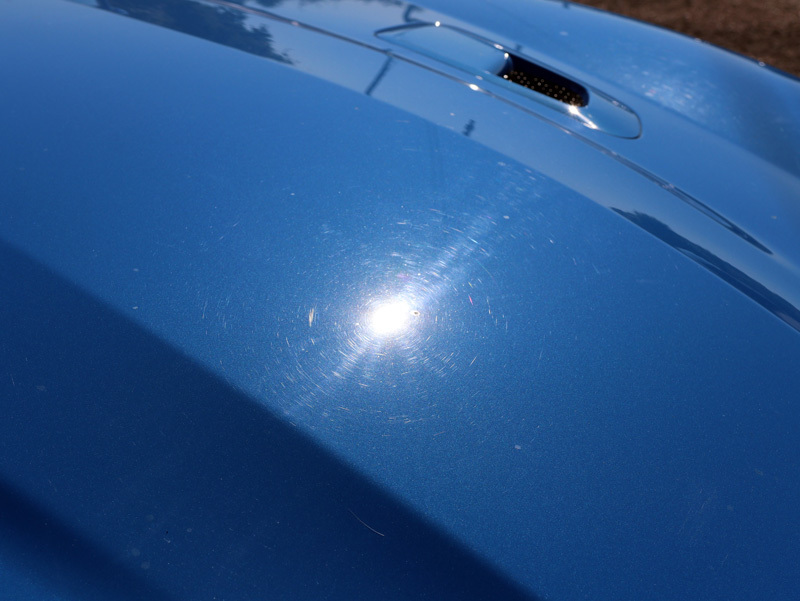 Swirls and scratches were prevalent over much of the paintwork. Sanding marks were clearly visible on the rear quarter, easily distinguishable from other types of paintwork blemish by their distinctive ‘pigtail’ signature. 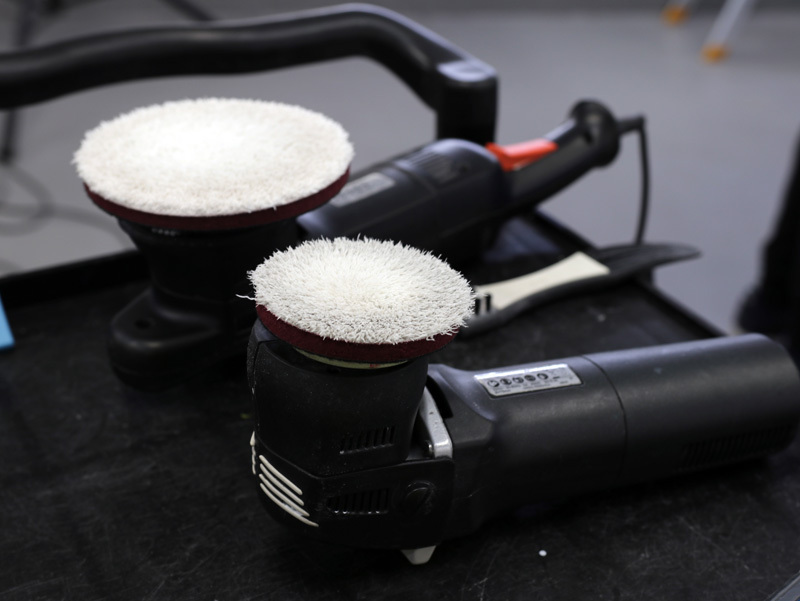 Gloss enhancement was carried out using RUPES BigFoot dual action machine polishers. A BigFoot LHR15 ES was used for larger, less contoured panels and an LHR75E Mini was used for narrow areas, such as along the edges of wheel arches and door pillars. 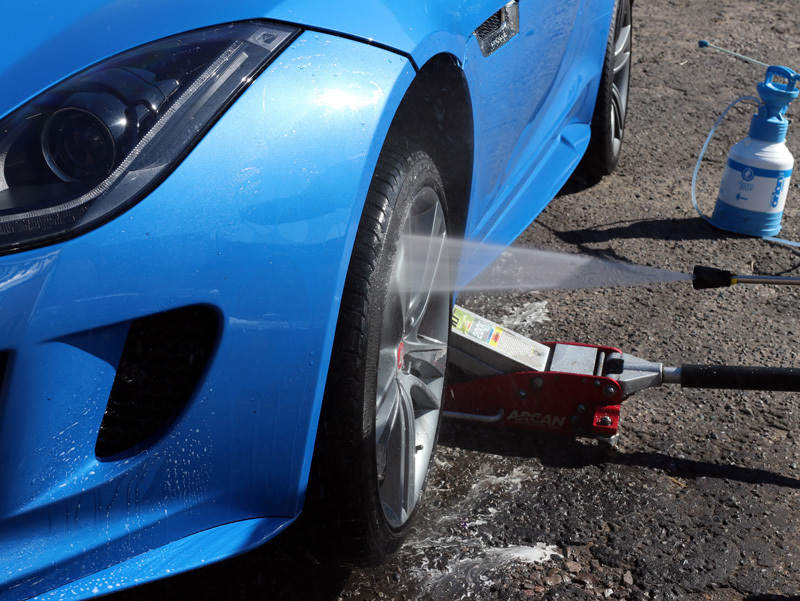 In both instances, Meguiar’s Microfibre Cutting Discs were used providing additional cutting power for the compound, Koch-Chemie Heavy Cut H8.02. 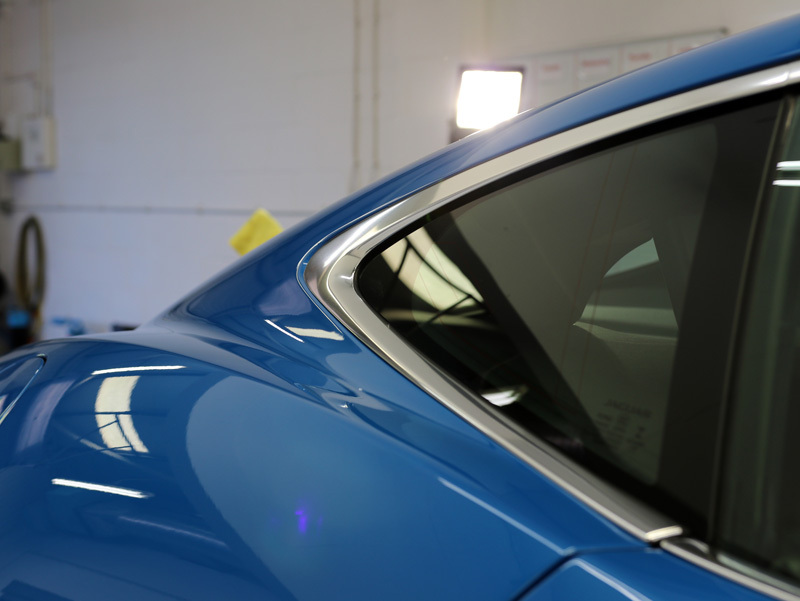 To refine the enhancement work and bring out the ‘ultra’ of the blue, RUPES Yellow Polishing Pads were used with Menzerna Super Finish Plus 3800, a fine compound that eliminates any micro-marring and brings out a stunning shine. After wiping the bodywork and wheels with Gtechniq Panel Wipe to prepare the surfaces for the ceramic coating, Gtechniq Crystal Serum Ultra (CS Ultra) was applied. 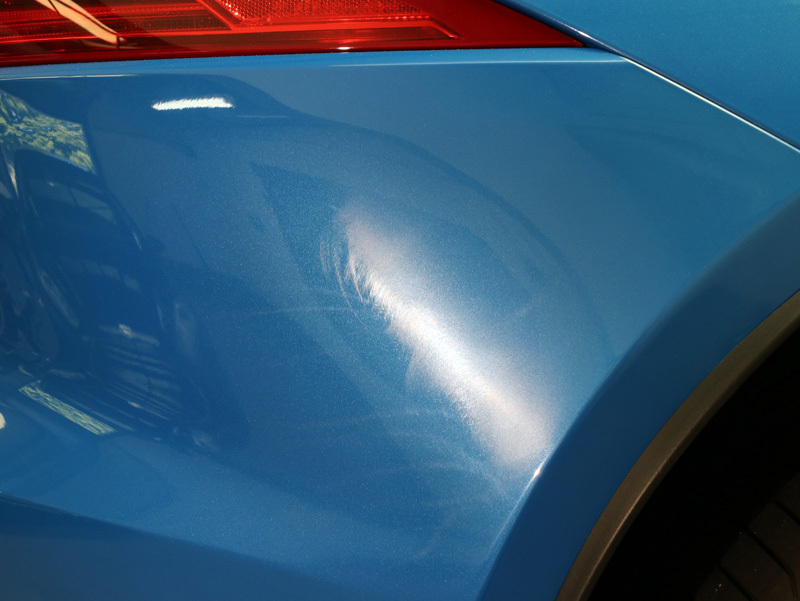 CS Ultra is Gtechniq’s most technically-advanced coating. Employing molecules of different sizes, CS Ultra is applied as a single coat yet during the curing stage, separates to form two distinct bonded layers. The lower layer cures to around 7H on the pencil scale of hardness, providing flexibility to the finished coating. The upper layer cures to around 10H, providing an exceptionally swirl resistant finish that is also virtually impervious to extremes of pH. Using a pipette, CS Ultra is applied to a Gtechniq Applicator Pad and wiped across a thirty-centimetre square. The area is then immediately wiped using a soft microfibre towel. The process is repeated until all the paintwork and trim has been coated. After being allowed to cure for an hour, Gtechniq EXO v4 Ultra Durable Hydrophobic Coating was applied. After a further hour to allow for curing, a second layer of EXO v4 was applied. The combination of CS Ultra and EXO is known as CS Ultra Black, combining the outstanding swirl resistance and gloss of CS Ultra with the slick hydrophobic nature of EXO. 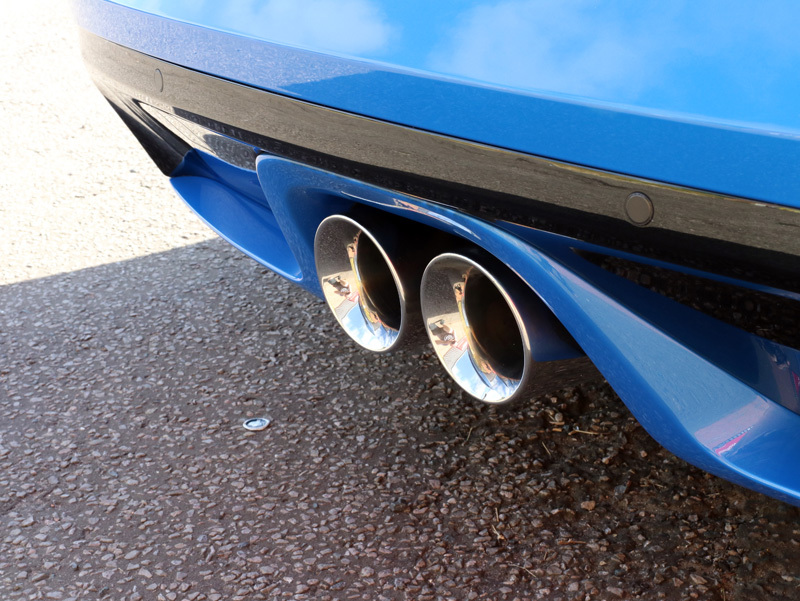 The exhaust tips were first cleaned, tarnish and soot build-up removed using Britemax Easy Cut Metal Polish. To protect the finish, Britemax Final Shine Metal Sealant was applied. To protect the sensitive satin finish of the 20-inch ‘Cyclone’ rims, Gtechniq C5 Alloy Wheel Armour was applied. This provides a hydrophobic, oleophobic barrier to repel water and waterborne contamination, as well as preventing diesel and oils from staining the finish. 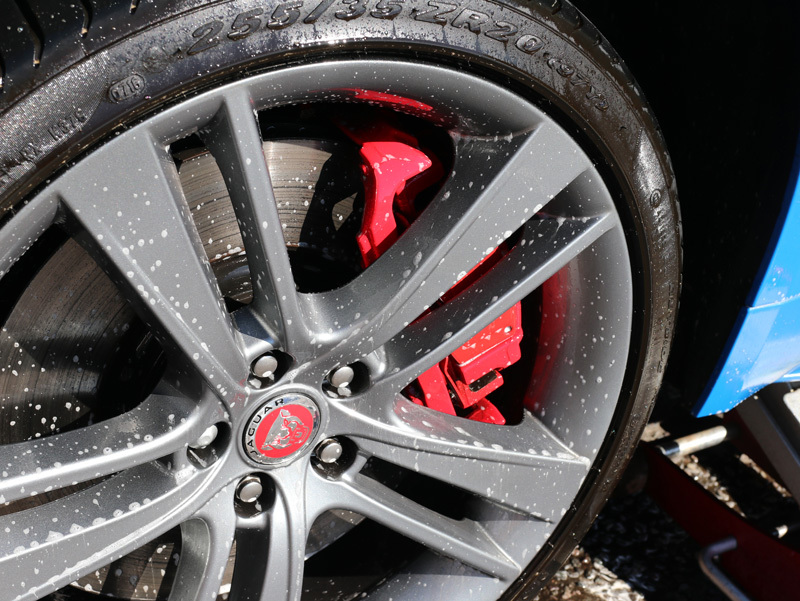 Brake dust particles do not adhere as strongly to treated wheels, making them easier to maintain during the weekly wash. As C5 is resistant to extremes of pH as well as temperatures in excess of 300 degrees Celsius, it will not burn away or wash off. One layer is sufficient to protect wheels for up to twelve months. Gtechniq T2 Tyre Dressing was applied to the tyres to impart a natural satin glow, perfectly complementing the finish of the wheels. 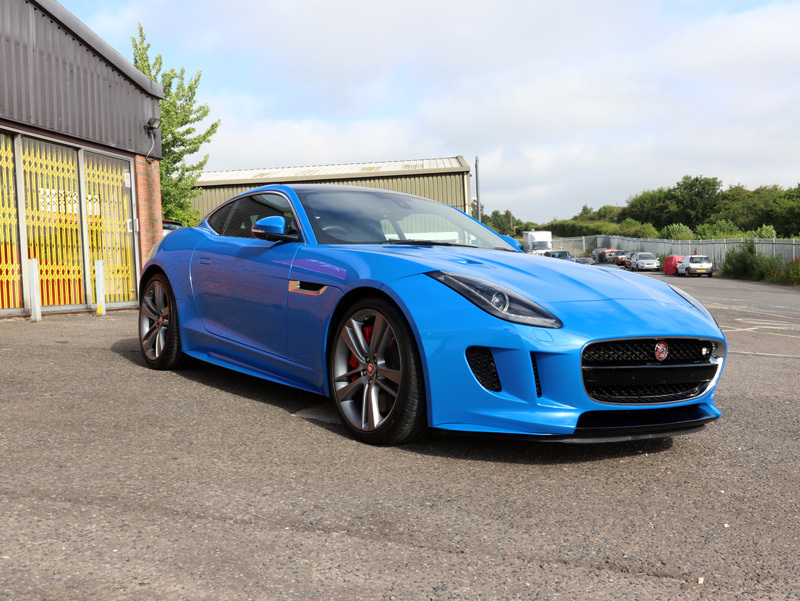 With the paintwork now fully restored and protected, this F-Type British Design Edition can proudly fly the flag for many miles to come. UF Studio – Award Winning Detailing. Call 0333 800 8004 to discuss your requirements or complete the online enquiry form here to receive a bespoke no-obligation quotation by email.